Dear Neil: I can understand your recommendation to avoid emotionally unavailable people like myself who have these deep personal flaws. But not one of us who are damaged people want to be where we are. From lousy childhoods to a series of failed relationships, our lack of progress about becoming emotionally more available is quite depressing. Let’s assume your message is taken to heart by the mentally and spiritually unblemished. What about the rest of us? Many of us lack the resources on multiple levels to become the beautiful souls that professional therapy might promise. Your column is usually easy to nod in smug recognition. I felt this one with a painful recognition. In the future, would you please offer those of us on the other side of the relationship tracks some words that will help us grow toward having a happy relationship? Dear Despondent: Deep down, if I feel inadequate and fear that I don’t measure up, then sooner or later I’m going to be afraid that you’ll find out about me, agree that I’m not good enough, and eventually dump me. So if I remain distant from you, aloof, disengaged and I don’t give you a whole lot of my time, it won’t hurt as much when you tell me you’re going to leave me. I have retreated into a web of self-protection and safety so I won’t get too hurt when things don’t work out, because deep down I don’t feel I deserve to be loved. 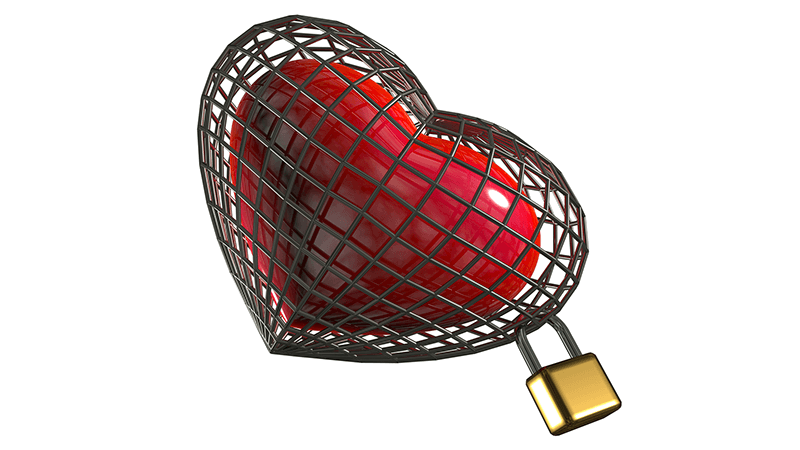 Such half-hearted attempts at love will keep me safe, but they will sabotage my ability to create a connected, loving and trusting relationship. How close am I going to allow myself to be when I’m secretly trying to be less emotionally invested because I fear you’re going to reject me?